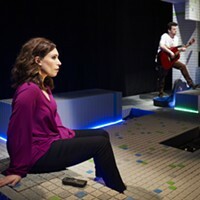 Photo courtesy of Gail Manker Seven Guitars at Pittsburgh Playwrights Theatre Co.
At its heart, theater is about confrontation: the one-on-one (sometimes just one person confronting him- or herself). But there is a special art in cooperation, the many various conflicts woven into a fabric: the ensemble. A balanced group working together with everyone given a challenge and a chance in the spotlight. In no particular order, here are Pittsburgh’s notable ensembles of 2016. Practically the definition of an “all-star” production, Kinetic Theatre Co.’s Three Days in the Country choreographed 13 disparate characters in duos, trios and crowds for this philosophical comedy. 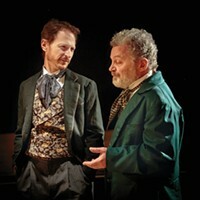 Playwright Patrick Marber’s 2015 hit version of Ivan Turgenev’s A Month in the Country bounced under the direction of Andrew S. Paul, Kinetic’s producing artistic director. Also indulging new takes on the classics, Cup-A-Jo Productions pulled out all the stops (teaming with Studio SixTHreeFouR) for Shakespeare’s sprawling Titus Andronicus, and sparkled with the more intimate Chekhovian The Sisters. 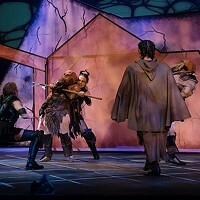 Cup-a-Jo founder Joanne Lowe directed both her original adaptation of the Bard and Richard Alfieri’s 1995 version of Three Sisters, with updates and in non-standard spaces, respectively, a Highland Park backyard and the Lincoln Gallery of the Andrew Carnegie Free Library and Music Hall. 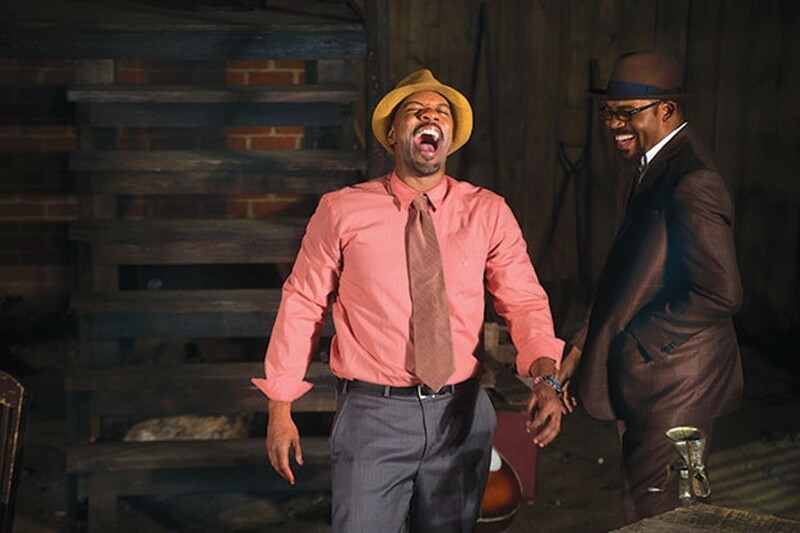 August Wilson’s Seven Guitars (1996) is already a classic, but Pittsburgh Playwrights Theatre Co. and artistic director Mark Clayton Southers enhanced the perfectly balanced seven-member ensemble with a thrilling ambience in the backyard of Wilson’s childhood home. It was the Hill District in 1948 for sure, complete with real chickens. Director Lundeana M. Thomas successfully stretched The New Horizon Theater’s resources, including its small cast, for an intimate production of Ifa Bayeza’s The Ballad of Emmett Till, a dream-like 2008 musical re-imagining of an historic event. Although I cannot name each actor in each show for space reasons, I must note that Jonathan Berry excelled in both Till (portraying several versions of the 14-year-old martyr) and in the aforementioned Guitars. 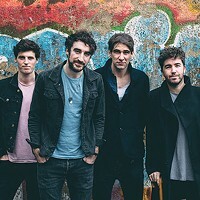 Throughline Theatre Co. Artistic Director Liam Macik evened out Abby Mann’s 2001 stage version of his star-heavy 1957 film Judgment at Nuremberg by double-, even triple-casting many roles, sometimes cross-gender. 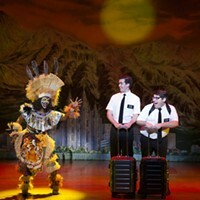 For The Summer Company, director John E. Lane Jr. similarly multi-cast the 10 “supporting” actors into more than 50 characters behind the five “leads” of Christopher Durang’s 1976 comedy, A History of the American Film.